When you have unpaid debts, creditors may resort to pursuing a lawsuit against you in an attempt to collect. 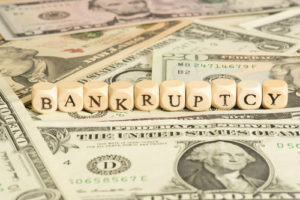 Not all creditors have the option of pursuing this legal remedy, but in many cases, the creditor can obtain a judgment against you that may include wage garnishment. Debt collection lawsuits begin when the collection agency or creditor files a complaint with the court. The debtor will be served with the complaint, and they will need to respond to it. Receiving a summons to appear in court for a debt collection lawsuit can be very intimidating. If you are served with the papers in person, then no response is needed to confirm that the summons was served. If you received the papers in the mail, then the creditor may require you to sign and return a form stating you were served with the information. Most often, you will have about 20 to 30 days to formulate a comprehensive written response to the pending lawsuit. This written answer will be your response to the claims levied against you. Below is a list of important things to include in this formal response. Automatic stays do not apply to non-dischargeable debts or instances of fraud. When the lawsuit was already pending prior to filing for bankruptcy, then both parties may choose what to do. The creditor may either dismiss the suit, ask for permission to continue the suit or move the entire issue to bankruptcy court.